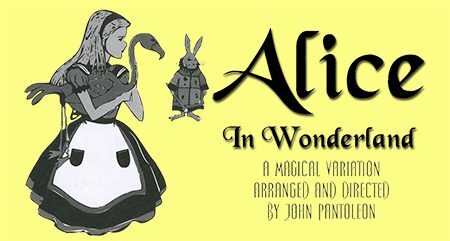 Alice plunges down a rabbit hole and immediately becomes involved in a delightfully skewed and slewed world of illusion. Always she must listen to hear beyond the silliness and learn that all is not as it seems. A magical variation arranged by PSP’s own John Pantolion, com enjoy the whit and the humor, the song and the dance, but also recognize that the combination of fantasy, realism, gentle satire and logic that have made this story so popular over the years.